Ryanair is expected to ask passengers to pay extra costs on flights already booked out of Spain if the Spanish parliament passes new airport taxes proposed in the budget. 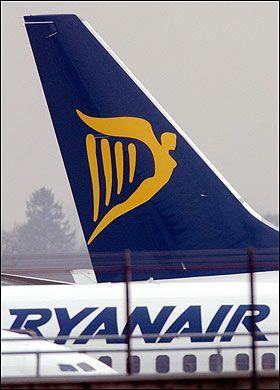 The Irish low-cost airline is the number one carrier between Spain and the United Kingdom and millions of passengers could be involved. British Airways on the other hand has said that it will absorb the surcharges on flights already booked. Airport taxes on services between Madrid and European Union airports will go from €6.95 to €14.44 and between Barcelona and EU destinations from €6.12 to €13.44 if the budget is approved. Although Ryanair’s standard tickets are still cheap the company then imposes a system of excess additional charges for almost everything, from infant equipment to reservations for the use of oxygen. It is estimated that the proposed increase in airport taxes could also lead to a loss of passengers. A study by Exceltur, a group of tourist operators, has estimated that this year Barcelona’s El Prat could lose 1.16 million tourists and Madrid’s Barajas 945,000.